Chefs, food bloggers and cookbook authors offer up their picks that make healthy cooking fun, fast and full of flavor. Scratching your head about what to get your favorite cook? We turned to some of the nation’s top food pros for their favorite gift ideas. Every pick on the list makes healthy cooking fun, fast and full of flavor, so you know each one sends a thoughtful message to friends and family on your holiday gift list. To accompany your gift, consider picking up one of our pros’ cookbooks to provide some ideas to put the new gadget to work. This tool is a must-have in every kitchen! Katie Higgins, the healthy food blogger behind Chocolate Covered Katie, recommends this Cuisinart model. “I use this food processor to dice carrots or zucchini, shred sweet potatoes for hash browns, blend shredded coconut into butter, and to make my favorite Black Bean Brownies. I much prefer a food processor over a blender, because I find it more evenly processes all ingredients thanks to the larger surface area,” she says. Health-supportive chef and recipe developer Danielle Krupa recommends a smaller version, Cuisinart Mini-Prep Food Processor. “It makes whipping up healthy items like hummus, fresh salsa, pesto, nut butters, energy bites, homemade baby purées and more a cinch. Plus, it’s affordable, comes in a variety of colors, is easy to clean and takes up very little kitchen space,” she says. For cutting the perfect, evenly sliced veggies like a pro chef, nothing beats a mandolin slicer. “My absolute favorite utensil is a mandolin slicer” says Eden Grinshpan, co-founder and executive chef of DEZ, and host of Top Chef Canada, who recommends the Benriner Mandolin Slicer. “I always have a big salad on my table and it just cuts the veggies so beautifully.” A mandolin slicer makes it so easy to make gorgeous salads, which Grinshpan says encourages her to eat them more. “They're so inexpensive and a great gift!” she notes. If the cook on your gift list doesn’t already have this jack-of-all-trades, you’re going to want to grab one of these popular appliances. Among the various models, Dana Angelo White, RD, author of the "Healthy Instant Pot Cookbook" and the "Healthy Air Fryer Cookbook", suggests the Instant Pot 6-QT Duo Plus 60 or the slightly older and lower-priced Instant Pot 6-Qt Duo 60. White is also a fan of the air fryer. “Which air fryer you choose really depends on how many people you’re cooking for,” she notes. If you’re gifting an air fryer to a couple, White recommends the Phillips Viva. “It’s a great basic and affordable model and perfect for cooking for two.” For larger families, she suggests the Phillips Avance XL; for the cook who entertains, there’s even an XXL model. “The biggest secret about air fryers is just how useful they can be for all kinds of cooking. Of course, there’s the appeal of lighter, non-fried versions of chicken wings and fish sticks, but you can also make egg sandwiches, shrimp scampi and spiced nuts,” explains White. “Vegetable dishes, like glazed carrots, kale chips, and stuffed mushrooms are some of the recipes I make the most,” she says. According to White, the air fryer acts like a mini convention oven, circulating hot air around the food, leaving it evenly cooked and crispy on all sides. That means that recipes that typically call for a ton of oil often need none (or a couple of teaspoons at the most) so the calorie savings can really stack up! Here’s another small but mighty must-have for the healthy home cook in your life. “I use the Microplane zester for grating everything from garlic and ginger, to lime, orange, nutmeg and dried lime,” says Najmieh Batmanglij, whose newest cookbook, "Cooking in Iran: Regional Recipes and Kitchen Secrets" was just named one of 2018’s best cookbooks by The New York Times. “I’ve also used the gadget for some unexpected ingredients, like goat cheese, cooked potatoes, tomatoes and cucumber for my famous yogurt soup,” she adds. According to Bagmanglij, the zester is an easy way to add flare to a variety of dishes. She recommends the Microplane 40020 Classic Zester/Grater, which has a long, easy-to-hold handle. This luxury appliance is on every home cook’s wish list. Genevieve Ko, the author of "Better Baking: Wholesome Ingredients, Delicious Desserts" explains why: “Because a stand mixer makes baking so easy, I never have to buy store-bought treats, which are loaded with a lot more sugar than I like and, sometimes, mystery ingredients that can't possibly be good for anybody. Homemade is always better for you than store-bought because you know exactly what's going into the goodies. 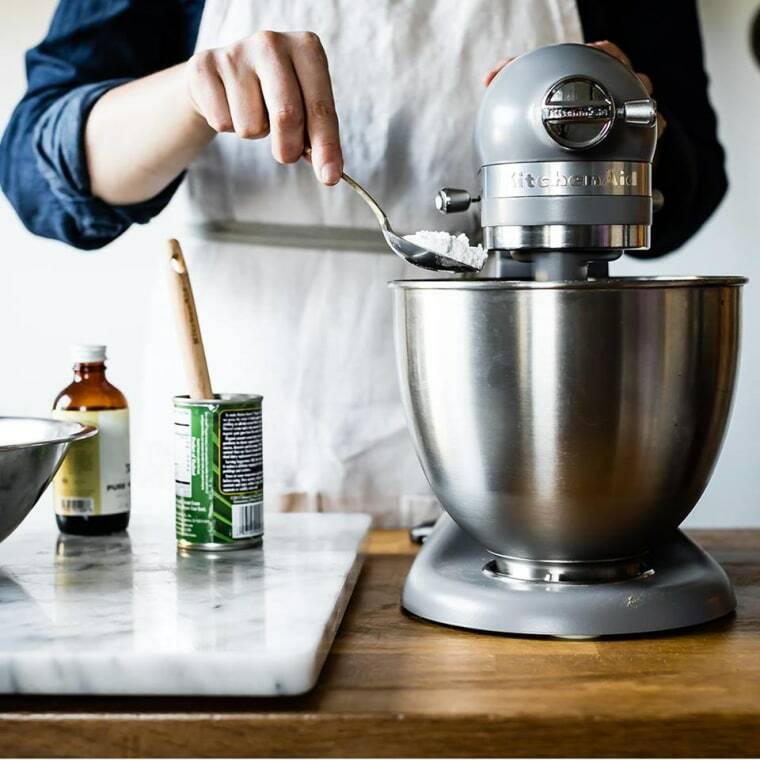 Plus, they taste better!” Ko’s pro pick is the KitchenAid stand mixer. “I have both the smaller tilt head one, as well as the larger bowl lift one. During this busy baking season, I often have both running at the same time!” Ko also recommends the pasta maker attachment, which makes a great gift for cooks whose kitchens are already stocked with this workhorse. “It’s great for simple homemade pasta, but also works for rolling out thin, sturdy cracker or cookie dough,” she says. According to Sammi Haber Brondo, MS RD, author of "The Essential Vegetable Cookbook", a blender makes the perfect gift. “Blenders are one of my favorite, must-have kitchen tools. They're extremely versatile and can be used in so many different, easy recipes. Aside from smoothies, you can puree roasted veggies with broth to make soup, mix ingredients (like banana, oats and eggs) for healthy pancakes, or even mix brownie ingredients to bake brownies,” she says. Her choice: The Magic Bullet because it's inexpensive, easy to usenand easy to clean. A nice insulated, reusable water bottle can keep smoothies cool for hours and is a stocking stuffer to go alongside the Magic Bullet.